GEORGE CARLIN IS THE REAL DEAL! This is a tough video to watch, but well worth your time and attention. 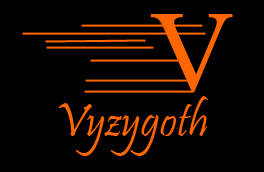 CURRENT EVENTS "GARAGE SALE" ON VYZYGOTH! This past Friday, Vyz and I recorded a "From the Grassy Knoll" program on current events which is now available for download HERE. In it we discuss Ahnold's gender confusion, why prison censors won't pass what they don't understand, and how to distract good people from what's really happening by hitting them where it counts. This is no time to hide under the bed! Why did we ever think this waste of human flesh was funny? We respectfully dedicate this post to the individual who so staunchly defended the NIST report at our presentation on September 24. In an amazing about-face, the National Institute for Standards and Technology (NIST) has implicitly admitted that its 10,000-page report on the destruction of the Twin Towers is a fraud, and that the buildings were destroyed by controlled demolition. In its recent reply to family members Bill Doyle and Bob McIlvaine, scientists Steven Jones and Kevin Ryan, architect Richard Gage and the group Scholars for 9/11 Truth and Justice, NIST states: "We are unable to provide a full explanation of the total collapse." Thus NIST euphemistically admits that its 10,000-page report on the Towers does not even pretend to provide any explanation whatsoever for the Towers' total collapse--and that indeed no such explanation is possible without invoking the politically-incorrect idea of controlled demolition. NIST'S 10,000-page report purports to explain what it calls "collapse initiation" -- the loss of several floors' vertical support. In order to dream up this exceedingly unlikely scenario, NIST had to ignore its own tests that showed that virtually none of the steel got hotter than 500 degrees f. It had to claim that somehow the planes took out many core columns, despite the fact that only a direct hit by an engine would have been likely to do so, and that the chances of this happening even once are fairly low. It had to preposterously allege that the plane that nicked the corner of the South Tower took out more core columns than the one that hit the North Tower almost dead center. It had to tweak all the parameters till they screamed bloody murder and say that the steel was far weaker than it actually was, the fire was far hotter than it actually was, the sagging was far greater than it actually was, and so on. And so NIST hallucinated a computer-generated fantasy scenario for "collapse initiation"--the failure of a few floors. But how do you get from the failure of a few floors to total collapse at free-fall speed of the entire structure? The short answer: You don't. Anyone with the slightest grasp of the laws of physics understands that even if all of the vertical supports on a few floors somehow failed catastrophically at exactly the same time--a virtually impossible event, but one necessary to explain why the Towers would come straight down rather than toppling sideways--the top part of the building could not fall THROUGH the still-intact, highly robust lower part of the building, straight through the path of most resistance, just as fast as it would have fallen through thin air. Thus total free-fall collapse, even given NIST's ridiculous "initiation" scenario, is utterly impossible. The probability of it happening is exactly equal to the probability of the whole building suddenly falling upward and landing on the moon. Compare this to a hypothetical case in which forensic evidence proves a victim was shot in the head three times at the foot of a cliff, but the body was found at the top of the cliff. The sheriff, who has the most to gain from the man's death, brings in NIST to explain how the man shot himself in the head three times and then fell upward 200 feet to land on the top of the cliff. NIST produces a 10,000-page report claiming to explain the event. The 10,000-page report ignores all the forensic evidence that the man was murdered, offering endless pages of scientific gobbledygook distorting all the forensic evidence in such a way as to show how a suicide actually could manage to squeeze off three head-shots, and offering a scenario explaining how "upward-fall initiation" took place. After we read the whole 10,000 pages, it turns out that "upward-fall initiation" simply means that the man lost his footing after being shot. Okay, say Steve Jones, Kevin Ryan and friends, then after he lost his footing, how did he fall upward? NIST responds: "We are unable to provide a full explanation of falling-upward." It is not surprising that NIST cannot explain a scenario that blatantly violates the basic laws of physics. What is surprising is that every newspaper in the world is not printing screaming front-page headlines reading NIST IMPLICITLY ADMITS: WTC TOWERS DESTROYED IN CONTROLLED DEMOLITION. Last week, Herb and I recorded a two-hour program for Vyzygoth's "From the Grassy Knoll" that is now available for download HERE. We discuss the presentation on Sept. 24, the "boycott," and anomalies within the Movement including the curious battle between Webster Tarpley and a gaggle of pseudonyms. "CLEAN UP IN AISLE (WTC) SEVEN!" Not that I'd refer Wal-Mart shoppers to Alex Jones, but I like this guy's cleverness.